Are you a Choco-holic like I am?! Well nothing beats a chocolate chip cookie in my book, it defines comfort food and I think everyones major cheat food. But when you think of the calories and sugar involved, it can make us change our minds and head for the celery instead...it's the new year and with that comes the healthy eating. I've found the solution to every cookie lovers problem, a healthy cookie. No I'm not kidding! These cookies are protein-packed, sweet, and a wonderful combination of healthy seeds to make us more than satisfied. 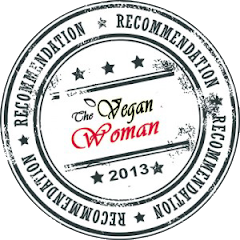 These sneaky induldgent vegan cookies don't miss the mark when you are looking for that comforting and iconic everyday cookie. I revamped my regular cookie and made it even better, one that we could enjoy anyday. Serve this cookie as is hot off the cookie sheets or anytime afterwards. Store cookies in an air tight container or in a plastic bag. I make up a batch, freeze some of the cookie dough for later use, because if I don't I will be sure to eat more cookies than I should. Just pop out of the freezer and make enough for you and others...if you want to share that is. 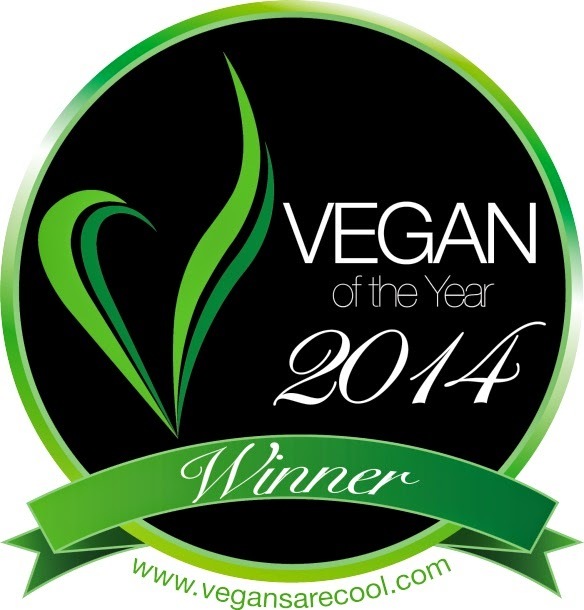 All you are missing is that tall glass of ice cold vegan milk! NO guilt involved, just ooey gooey, chocolatey cookie bliss...what are you waiting for? Enjoy! You could add in other seeds as well as nuts or even unsweetened coconut to proved the cookies with a nice crunch. 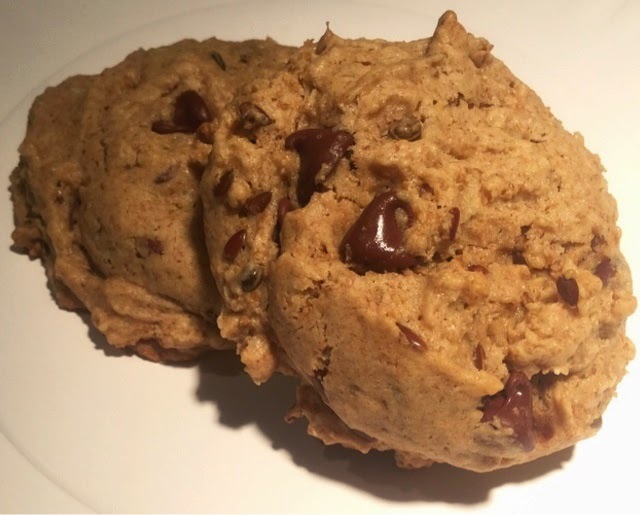 Your favorite dried fruits work well in these cookies also. *I prefer unshelled in this recipe, I like the crunch. But if you don't want to use unshelled seeds, feel free to add them in ground instead. 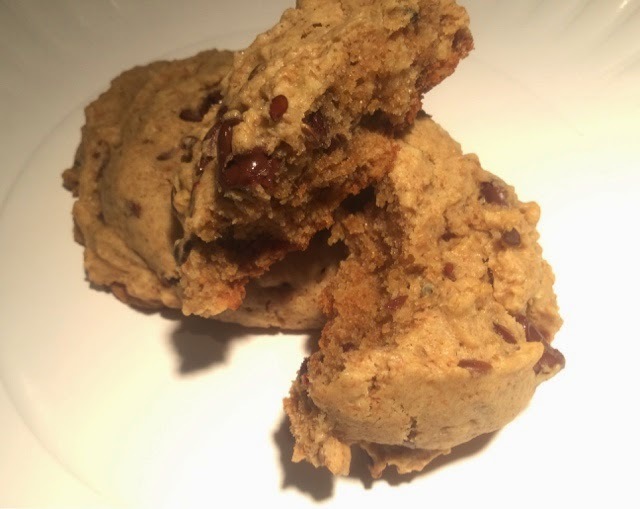 *If you want to make these cookies gluten free, add GF flour instead. In a large bowl combine the peanut butter, coconut oil, vegan milk, Vegg, vinegar, brown sugar, rice syrup and vanilla. 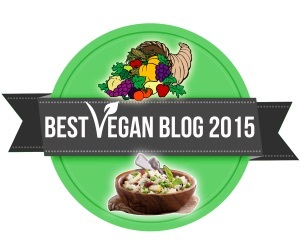 *Typically you mix your Vegg with water and process to create a yoke-like mixture. But in this recipe you add it into the wet ingredients and let it do its job. You could also use a flax "egg", egg replacer powder, or banana/applesauce instead. All work great! In a separate bowl mix the dry ingredients: flour, salt, corn starch, baking soda, baking powder, and salt. Stir until combined. Next stir together the dry and the wet ingredients. Mix to combine, but don't over mix. 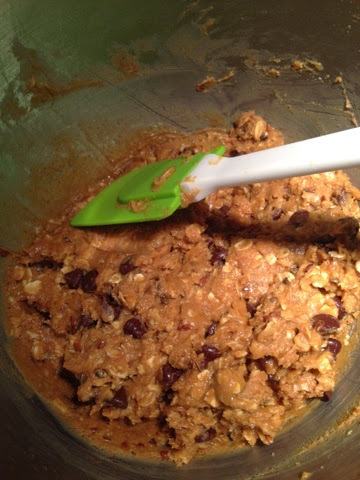 Then lastly add the chocolate chips, flax, hemp, and oatmeal and stir everything together to combine well. You mixture will be sticky and glossy looking but will form perfectly formed balls. 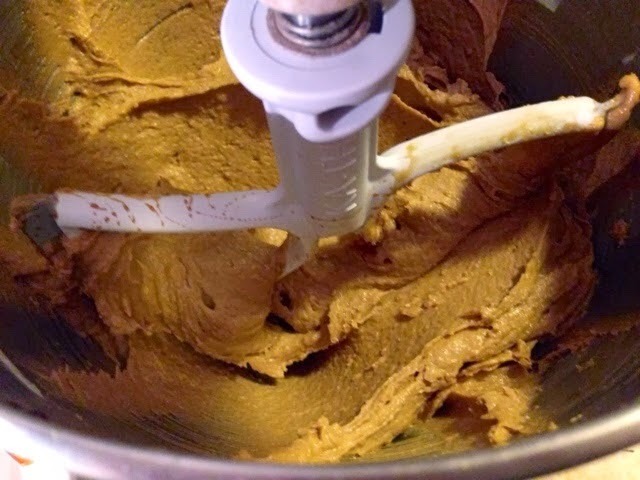 Take 2 Tbsps worth of cookie dough and make balls. Place them about inch or so apart on a baking pan. For measuring I used a ice cream scoop that measures 2 Tbsps perfectly. 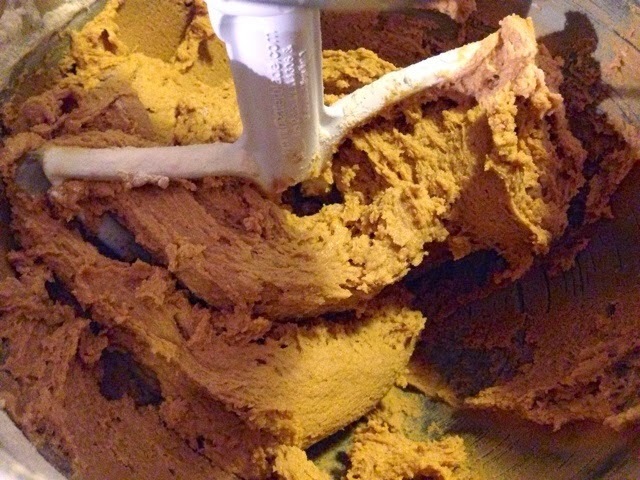 If you don't have an ice cream scoop use a tablespoon measure instead. They don't have to be perfect, they are going to taste the same no matter what they look like. Bake for 12 minutes, this makes a perfectly golden brown but nicely chewy cookie. 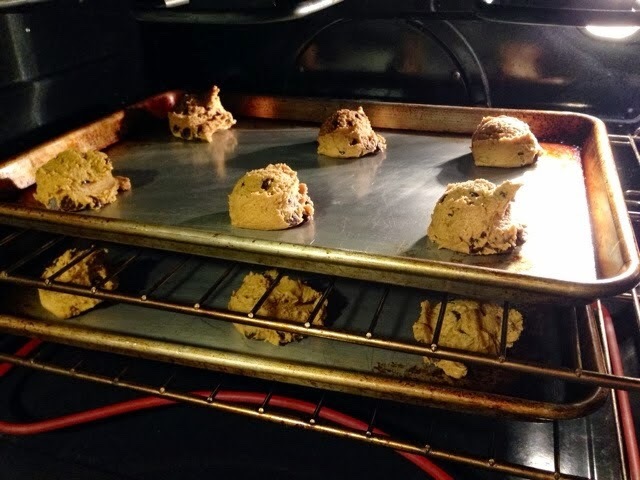 Once the cookie is baked, cool for 2 minutes on the baking sheet and then remove cookies to a rack to cool completely. Serve hot off the cookie sheet or cool and serve for dessert or a snack. Nothing is wrong when serving this cookie, enjoy!